Having a blast writing about Cincinnati for the world travelers on Virgin Atlantic. The hardest thing: cramming all the amazing into 500 words and 5 photos. Click on the rooftops below to see the "Beginner's Guide to Cincinnati" on the airline's Flying in the Face of Ordinary blog. 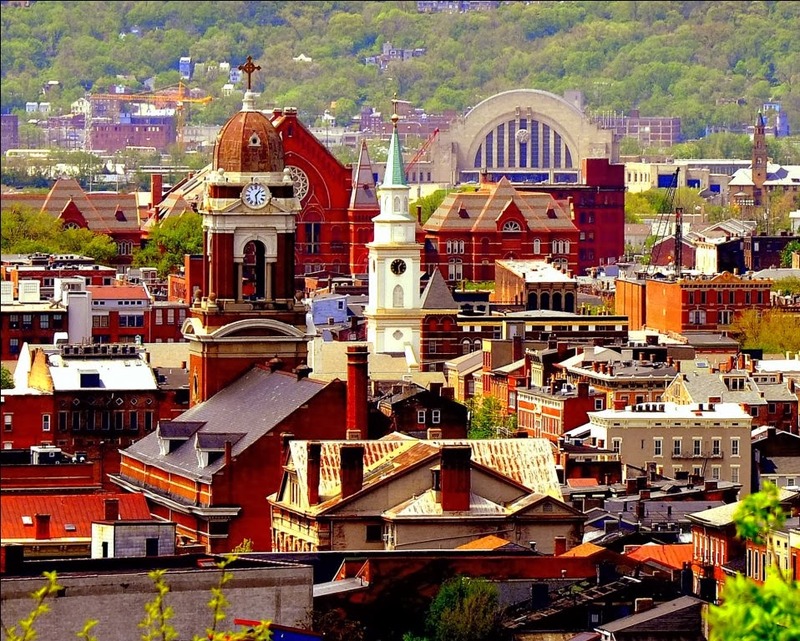 So please do the world a favor by adding your favorite Cincinnati places in the comments on Virgin's blog and if you like - click on the Virgin heart at the bottom to show your Cincy-love. Essex Studios and specifically the Art Circle studio in the building!